Mac: Is there a way to make an Inbox action a project *and* file it in project hierarchy? 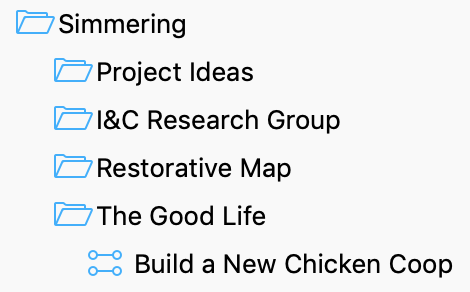 As I’m working through my Inbox items, there is an item that I need to turn into a project, and file it in the right folder in my projects hierarchy. I realize I can drag and drop to do this, but would like to do it via the keyboard if possible. I know there is the Command-! shortcut to make an action into a project, but is there away to choose where that new project appears? On iOS, when you promote an action to a project, there is a choice of where it will end up. 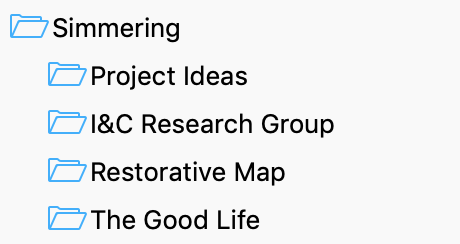 Hrmmm… I just realized that creating a task within a new project instead of turning the task itself into a project may not be what you’re after. Ah well, I’ll post anyway since I created all those screen shots! @Beck Yes, as you’ve noted what you describe is not what I’m trying to do, but I appreciate your response. I’m not sure I realized you could do what you describe in your reply. I’m trying to turn a task into a project and file it in a particular folder in my projects hierarchy using the keyboard.